(NaturalNews) U.S. Senator Ed Markey, a Democrat from Massachusetts, has introduced new legislation that would phase out the use of the estrogen-like chemical bisphenol A (BPA) in all food packaging, not just baby bottles and "sippy" cups. According to the Environmental Working Group (EWG), the Ban Poisonous Additives Act of 2014 would effectively ban BPA from further use in food and beverage containers, allowing a generous grace period for manufacturers to come into compliance. The legislation, which now has a companion bill in the House, specifically addresses new science showing that BPA is harmful to all humans and is present in the vast majority of the human population. It also charges the Food and Drug Administration (FDA) with conducting safety reviews for all chemicals and materials currently being used in food and beverage containers, even if they have previously been deemed "safe." 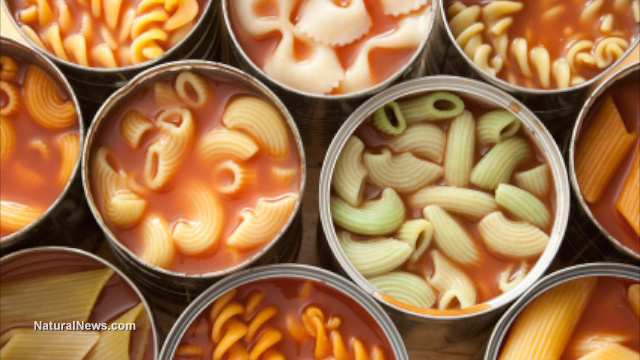 "Science shows that BPA is present in the vast majority of Americans and is harmful to human health," said Jason Rano, EWG's director of government affairs. "It has been linked to cancer, obesity, diabetes, infertility, hormone disruption and early puberty in children. Congress is taking an important step on behalf of our most vulnerable populations to help reduce exposure to BPA."